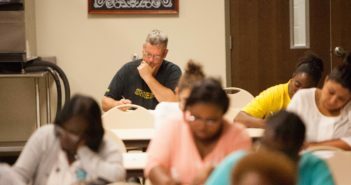 A total of 130 OCC-regulated savings associations signed onto an ABA letter today thanking Congressional leaders for supporting legislation that would allow institutions chartered under the Home Owners’ Loan Act to elect to operate more like banks without having to change their charters — a key part of ABA’s Agenda for America’s Hometown Banks. Armed with insight and tailored educational outreach, these banks are catering to nontraditional customers that, in turn, boost their bottom lines. Sens. Heidi Heitkamp (D-N.D.) and Jerry Moran (R-Kan.) today introduced ABA-advocated legislation that would allow institutions chartered under the Home Owners Loan Act to elect to operate more like national banks without having to change their charters. An increasing number of bankers believe their regulatory examiners understand the mutual model, according to ABA’s annual survey of the nation’s mutual institutions, which was released today as the association kicks off its Mutual Community Bank Conference in Washington, D.C. The House Financial Services Committee yesterday approved by a voice vote a bipartisan bill that would allow thrifts chartered under the Home Owners’ Loan Act to elect to receive the lending powers — and compliance responsibilities — of national banks without changing their HOLA charters. The House Financial Services Committee is expected to vote this week on several bipartisan bills that are part of ABA’s Agenda for America’s Hometown Banks. H.R. 1309, introduced by Rep. Blaine Luetkemeyer (R-Mo.) with 112 bipartisan co-sponsors, would eliminate the automatic designation of banks as systemically important based solely on asset size, recognizing that regulators should consider many different components of risk. 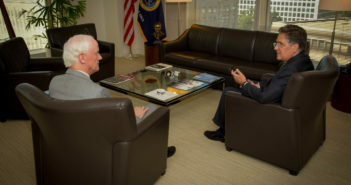 Frank Keating discusses top banking issues—from regulatory relief and cybersecurity to de novos and the future of the mutual charter—with Comptroller of the Currency Thomas Curry.